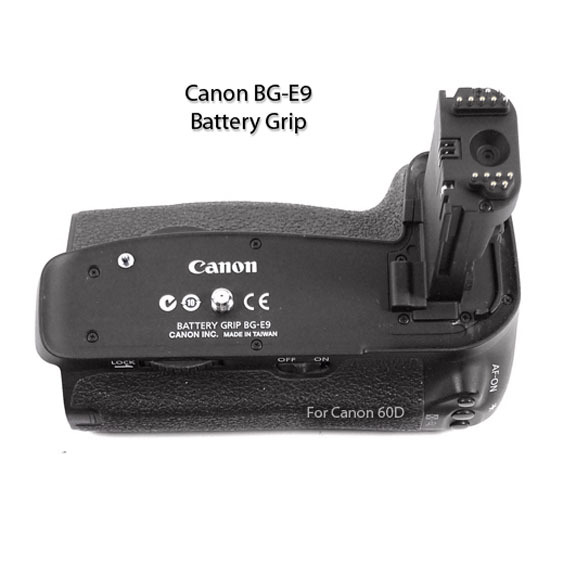 Battery grips like the Canon BG-E9 Battery Grip are one of the more interesting camera accessories to consider for some photographers. Who should consider buying one these gadgets? Professional shooters who do schools, sports and day-long assignments. Camera geeks who love to own and use the best equipment available. Shooters who want more of a balanced feel in the weight distribution of their equipment, primarily when using longer, heavier lenses on their camera bodies. 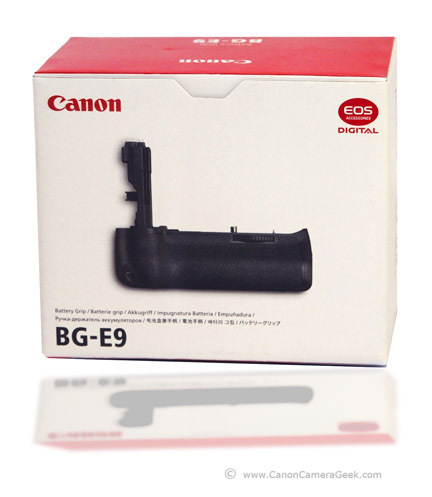 The Canon BG-9 camera grip has two magazine options that insert into the grip from the side. 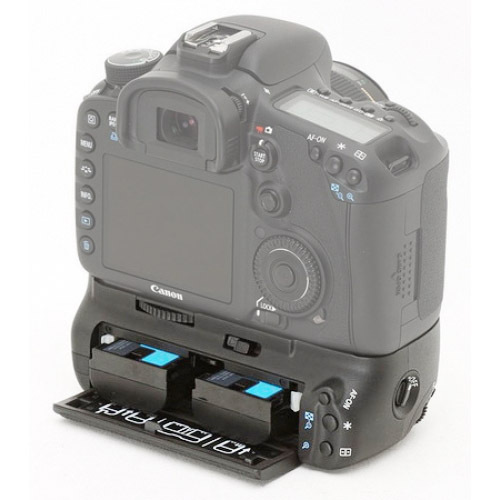 -The BGM-E9L magazine fits one or two LP-E6, the same batteries that power the Canon 5D, 7D, 5DMark II and 5D Mark III. 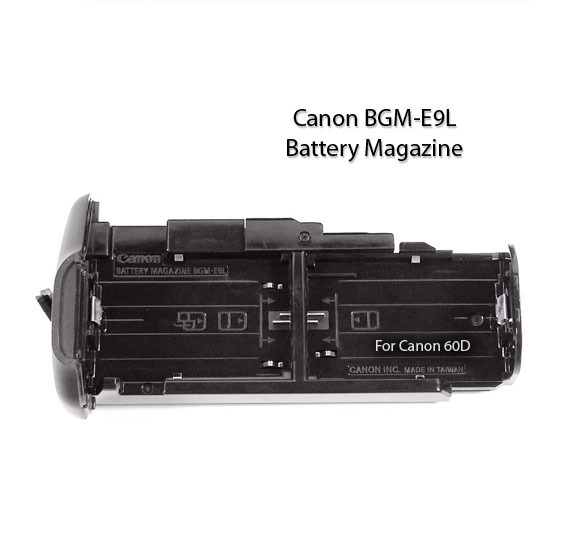 -The BGM-E9A battery magazine takes 6 AA batteries. 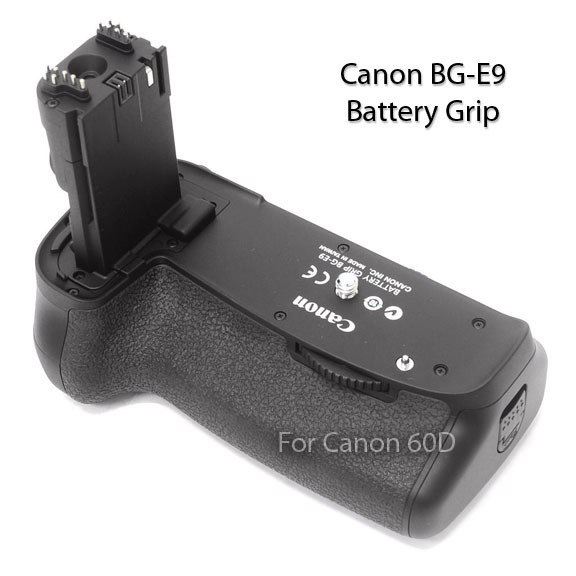 If you are considering buying a battery grip for you Canon EOS 60D made by a third party like Zeikos, you can save some money. The following video may be quite helpful. It really shows the BG-E9 up close, from its un-packing through installation and actual use. The videographer does a real thorough job, giving his opinion about how the Canon version differs from a Zeikos. The Canon BG-E9 works only with the Canon 60D. The 60D was a curious addition to the line of Canon cameras, as it was not really an upgrade from the 50D. The controls were simplified and some features removed by Canon in an attempt to broaden its appeal to less expert photographers and offer a slight price reduction. Metal was replaced by plastic and the joystick was removed. 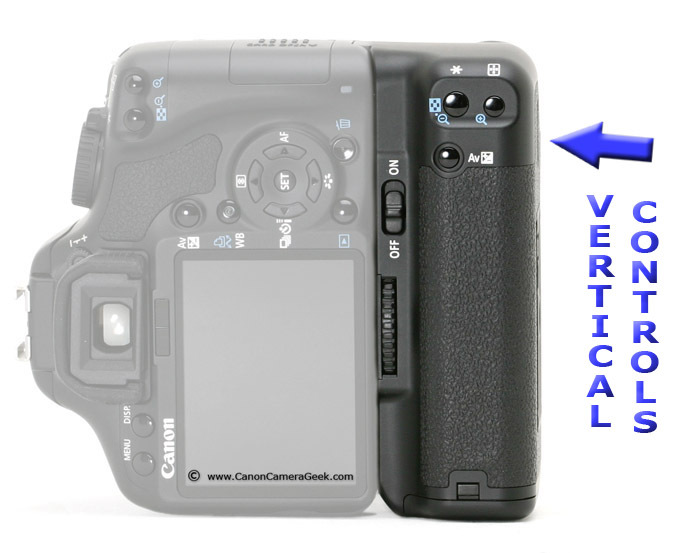 Canon added a tilt/swivel LCD and used the same sensor included with the Canon 7D. 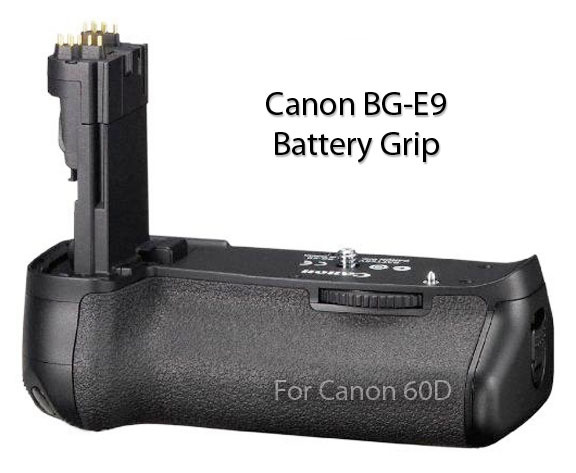 A Canon Battery Grip is an interesting consideration when looking at accessories and the BG-E9 battery grip is no exception. Another piece of equipment you might consider looking at is a good Canon Speedlite. If you are a pro photographer and selling your photographic services, people will take you more seriously as a photographer when you are using a grip like the BG-E9. Vertical controls are in top right corner when the your camera is turned to "portrait" orientation.